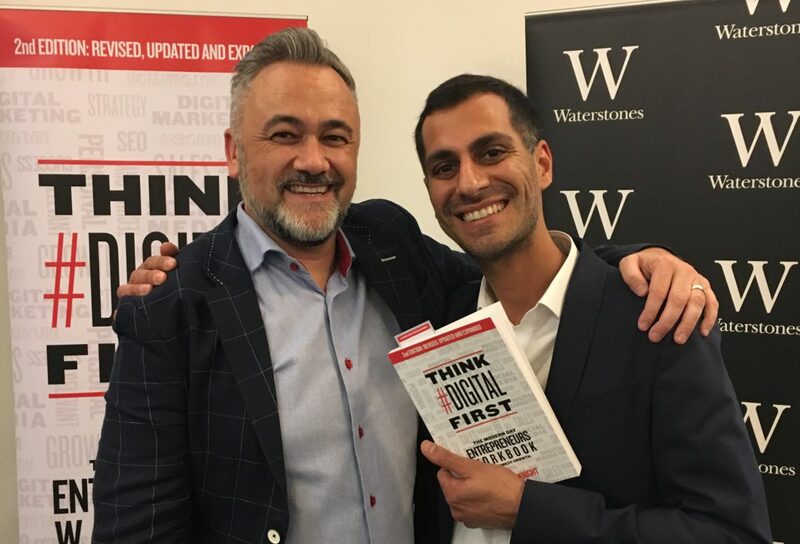 During the Performance 2020 conference in Prague, Czech Republic, I had the pleasure of meeting Warren Knight, Professional Speaker, and Author of Think #Digital First. The audience comprised of over 300 delegates keen to advance their knowledge on Performance Marketing. This was delivered through a combination of speaker sessions and spin-off workshops. Best-practice principle’s were shared on driving business growth through use of digital channels. These channels included Data, Social, and PPC. Most noteworthy during Knight’s session was his highly engaging approach in delivering Social Media and Digital best-practices to successfully develop a business online. Knight went on to turn a handshake into a hug with the audience and even taught the event host to MoonWalk on stage… Very entertaining and memorable! Think #Digital First consequently served as my loyal business travel companion during visits to both Denmark and Belgium, where I spoke on the topic of Data Management and Activation. Think #Digital First is a compelling read. The book took me on Knight’s journey of highs and lows, and inspired through his personal drive, determination and passion. No doubt, the combination of these characteristics have contributed to Knight achieving the success that he well and truly deserves! Knight shares valuable insights from lessons learnt on his journey. He has a tried and tested roadmap based on personal experience. It is designed to help those of us with an entrepreneurial spirit to achieve business success. GOPESH RAICHURA: Thank you for sharing your time with us today Warren. Our paths first crossed during the Performance2020 event. We have continued to remain in touch since. As a fan of your work, you may be pleased to hear I have already started to put some of your recommendations in action. Before we talk about your journey to achieving business success, let’s start with your time as a Professional Hip-Hop Dancer… What was your favourite move and which track did you most like to perform it to? WARREN KNIGHT: Always a pleasure Gopesh. Wow that’s a great question and not one I’ve been asked before. OK so here goes… The track was ‘Hear The Drummer Get Wicked’ by Chad Jackson. So three guys all dancing in a line, we then all turn to face a wall and run up the wall and then push off it. We all land doing the jazz splits, spin up 360 degrees, the end person stretch’s out and the other two slide under his legs. Then all three pop and lock to finish to a round of applause. GOPESH RAICHURA: Your book takes us through your experience from Professional Hip-Hop Dancer to successful Entrepreneur. 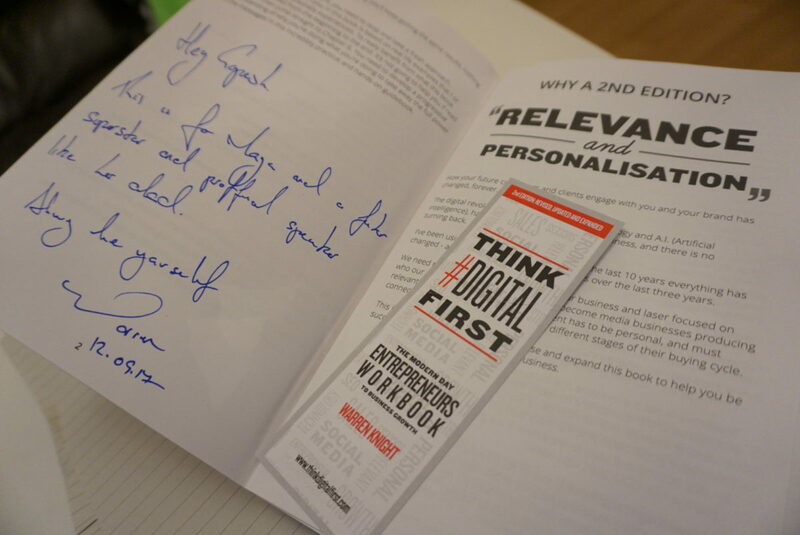 What first inspired you to write Think #Digital First and why was it important for you to publish the book? WARREN KNIGHT: 25 years in business is a long time. I’ve had some incredible wins and some major losses. I wanted to share them and how being online is the future to any business success, and share a methodology to help entrepreneurs be successful when all elements are working together. GOPESH RAICHURA: What advice can you give to smoothmind’s audience of Entrepreneurs, Sales and Marketing Professionals, and those that are passionate about making a difference in life, to be successful in all that they do, or in what they aspire to achieve? WARREN KNIGHT: Follow your passion, never stop learning and at different times in your career find a mentor. GOPESH RAICHURA: Your vision is to help 100,000 Entrepreneurs and Business Owners succeed by 2019. 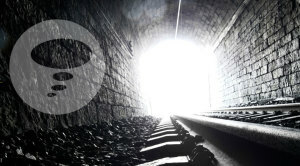 From your experience what are the three biggest challenges they will need to overcome for the best chances of success? WARREN KNIGHT: 1. Mindset – Accept that the way you used to work might not necessarily be the new way to grow your business. 2. Change – Don’t be afraid of it, if your business model isn’t working or you’ve seen a gap in the market, do your research and test the market. 3. Digital Transformation – Embrace it and focus on one thing to change. GOPESH RAICHURA: I have found that even the most successful people have role models and mentors. Who is your role model and why? WARREN KNIGHT: The one person who’s smashing online at the moment is Scott Oldford with his SSF Methodology. As far as offline and overall business is concerned, I have a mentor who prefers to stay nameless (sorry). When it comes to reconnecting to who I am emotionally, I love Tony Jeton Selimi. GOPESH RAICHURA: What does ‘SSF’ stand for and why is this important to you? WARREN KNIGHT: Sidewalk, Slow Lane, Fast Lane…. This is the process of how a visitor becomes a Prospect and then into Customer and as a business we must be relevant with our communications at each stage. GOPESH RAICHURA: What advice would you give as a Professional Speaker to those faced with the task of presenting to an audience of fifty plus people or more for the first time on stage? WARREN KNIGHT: Be yourself. I see too many public speakers using other people’s material and style and once they get off stage, they are like a different person. For me that instantly loses credibility. I work with two very different speaking mentors to help fine-tune my personality onstage to match who I am. GOPESH RAICHURA: Thanks so much again Warren for your time with smoothmind today! In conclusion, when and where are you next scheduled to speak? What topics will you be covering? 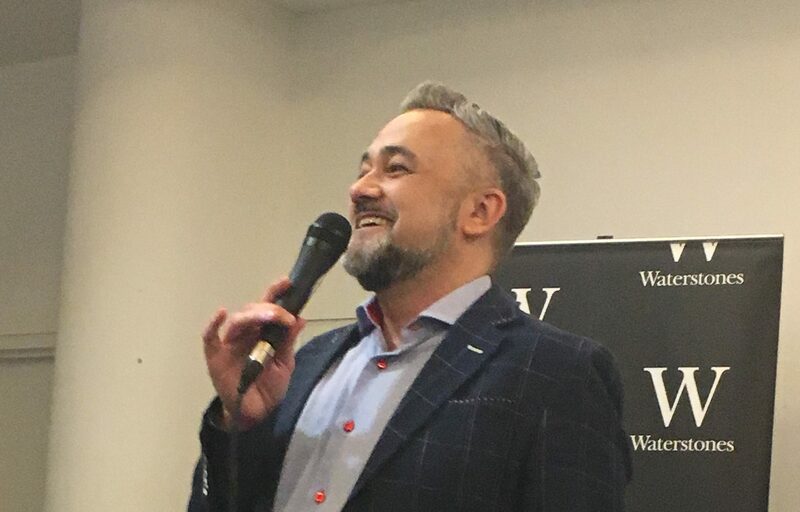 WARREN KNIGHT: I’ll be at The Business Show at Olympia, London on the 16th & 17th of November, where I’ll be sharing how to become a Social Media superstar and build your personal brand. GOPESH RAICHURA: You are truly a Smooth Mind! Thank you again for sharing your experience with smoothmind. WARREN KNIGHT: It’s been a real pleasure speaking with you today Gopesh and keep-up the amazing work of sharing your knowledge and taking time out to speak with subject matter experts like me. Learn more about Think #Digital First 2nd Edition at Amazon.